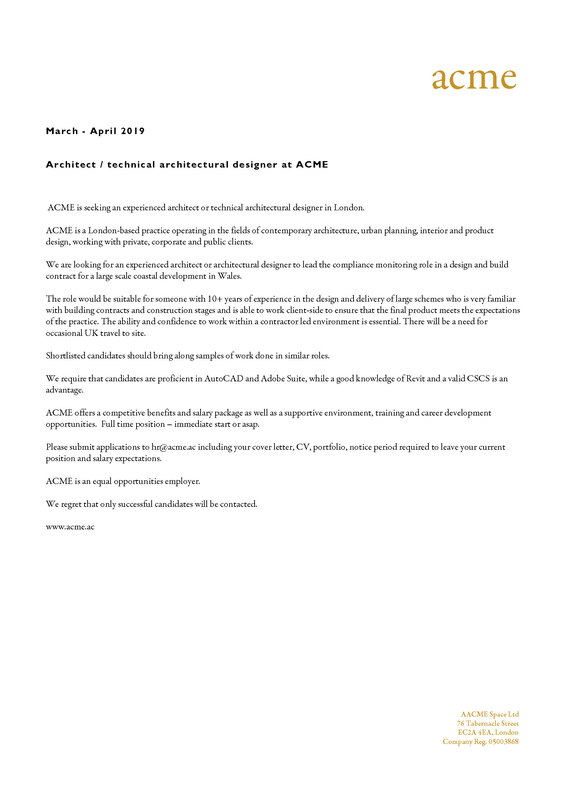 Candidates must have proven professional experience across all RIBA stages, excellent design and technical skills, together with knowledge of design development and tender and construction documentation. Ideally experience of residential/commercial office buildings in London/UK along with AutoCAD, Revit, Rhino and Adobe Suite. We are looking for an experienced architect or architectural designer to lead the compliance monitoring role in a design and build contract for a large scale coastal development in Wales. 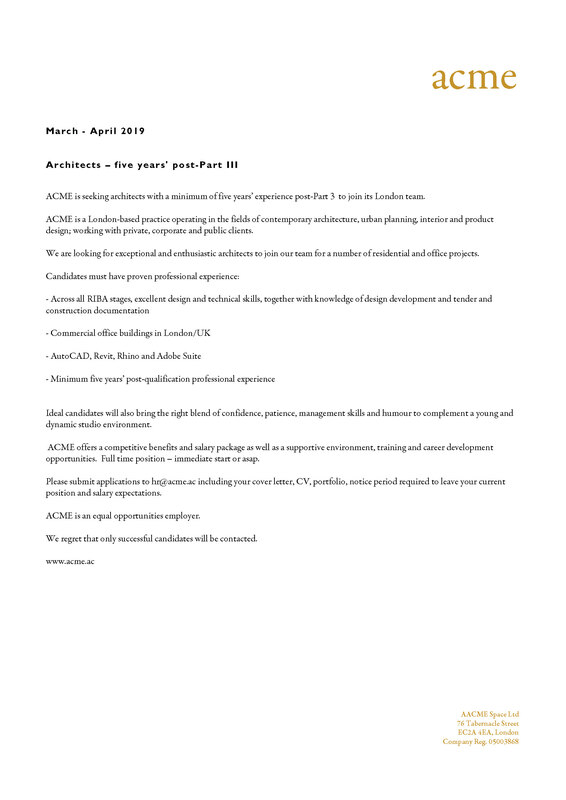 The role would be suitable for someone with 10+ years of experience in the design and delivery of large schemes who is very familiar with building contracts and construction stages and is able to work client-side to ensure that the final product meets the expectations of the practice.